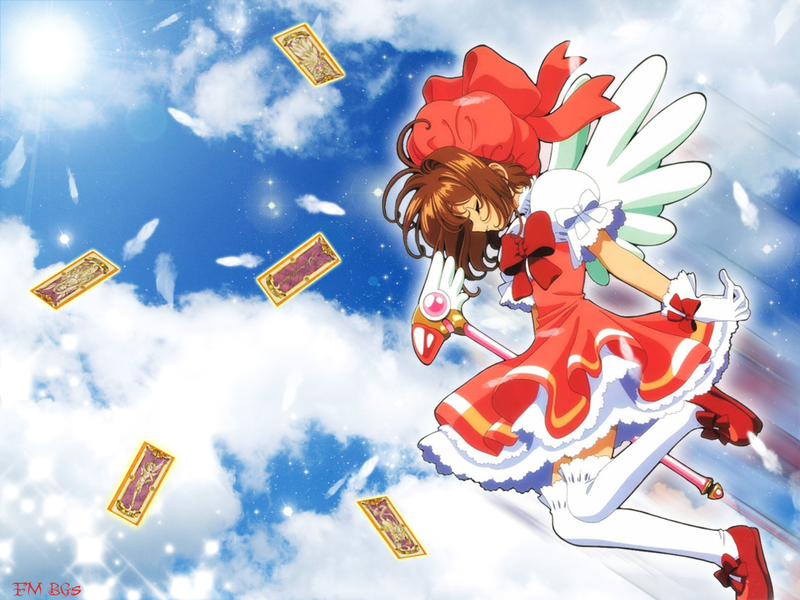 Yup, another CCS background. This one is in fact my most recently made background, I completed it sometime in July this year. I've never really used the Motion Blur before, so it was nice finding somewhere to fit it in. I modelled this background mainly on the season 1 opening sequence for CCS, hence the clouds and this particular outfit. The Clow Cards in the background are Sleep, Voice, Mirror, Thunder and Sword. i Loooovee! sakura.... greeat wallpaper! simple yet nice. i think it would be nicer with a few brushes or a texture. Wonderful wallpaper, the background with the sky and the clouds is beautiful! I like the motion lines and the sky. i love the clow cards in the background. this wallpaper really brings back my childhood. thanks and great job.